Located in the city of Carlisle, England, the 73miles-longHadrian’s Wall is an iconic and historic site. This UNESCO certified World Heritage Site stretches from sea to sea, across some of the most dramatic and spectacular landscapes of England. This awe-inspiring wall used to be a multi-cultural frontier for around three hundred years. Nowadays, the wall has become a famous site among travelers who love to go on hiking tours. People from all over the world come to this iconic site to walk on this centuries-old wall and discover the various attractions located along a walkway. You will get to discover a lot of forts, bathhouses, turrets, shrines and museums when you go for a Hadrian’s Wall walking holiday. It is a beautiful place full of history, culture, natural beauty and a ton of places to explore, which truly make it a paradise for hikers. Hadrian’s Wall, also known as the Roman Wall, was built in 122 AD during the reign of Hadrian the emperor. The wall was used as a defensive fortification in the Roman province named Britannia. Built under a period of six years by nearly 15,000 men, this huge wall stretched from the banks of the River Tyne to the Solway Firth on the Irish Sea. A large portion of this long wall still remain intact, and it is the largest Roman artefact in the whole world. It has become one of the most important ancient tourist attractionsin Britain, and the site was declared as a World Heritage Site by UNESCO in the year of 1987. 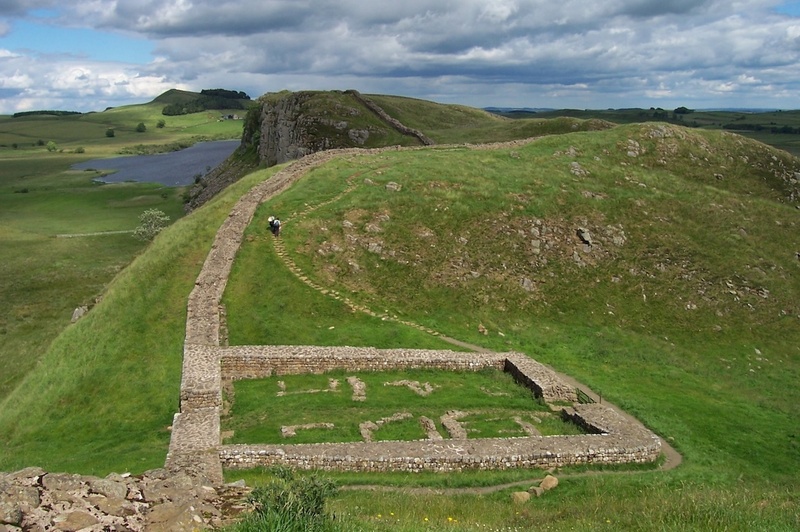 The Hadrian’s Wall used to be 73 miles (80 Roman miles) long from coast to coast. The height and the width of the wall varied, which depended on the materials found in the nearby areas. The width of the wall varies from about 8 feet to 20 feet, and the height of the wall varies from 10 feet to 20 feet. There were 80 small forts called milecastles which were situated after every Roman mile. The wall also had six huge forts which used to serve as armed cities. The Hadrian’s Wall walking trail is open throughout the year, 24/7. However, the trail is most enjoyable for walkers during the months between May and October. During this period, the grounds recover over winter and spring and give you the best walking experience possible. The sky also remains quite clear during this time, which provides favourable conditions for hikers. Also, the surrounding areas become awe-strikingly beautiful with abundant greeneries, making sure that you have a hiking experience of a lifetime. If you are planning to go for a walking tour through the Hadrian’s Wall, then you need to have at least six to seven days at your disposal. The trail can be covered in six days by experienced hikers, where you will need to cover about 15 miles every day, as the whole walking trail can be as long as 89 miles. However, for intermediate hikers, an eight or nine days’ trip is much more suitable. You will need to walk for 11 miles per day, which makes it the most popular duration of a walking trip on Hadrian’s Wall. Hiking on a long-distance trail is quite different than a normal hike,you also need to pack accordingly in order to be safe and prepared throughout the trek. If you are going with a walking tour organizer, all the organization is taken care of for you, which really allows you to enjoy the whole experience. Here are a few things which you should consider taking with you when going for a Hadrian’s Wall walking tour. The surrounding areas of the Hadrian’s Wall walking trailare full of attractions which hikers can explore throughout the walk. There are a multiple of forts, turrets,bathhouses, shrines,museums and even an ancient city for you to explore. 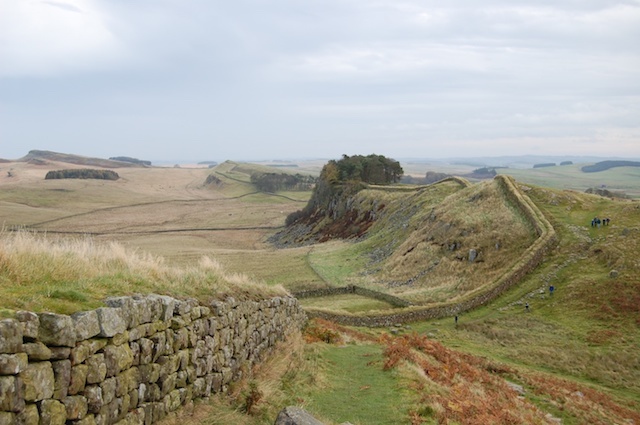 Here are few of the major attractions which you should consider when you embark on a Hadrian’s Wall walking holiday. The Millennium Bridge used to be responsible for carrying the wall across the River IrthingMany years ago. However, the course of the river has changed over time, and now the remains of the old Millennium Bridge lie on the eastern side of the river. 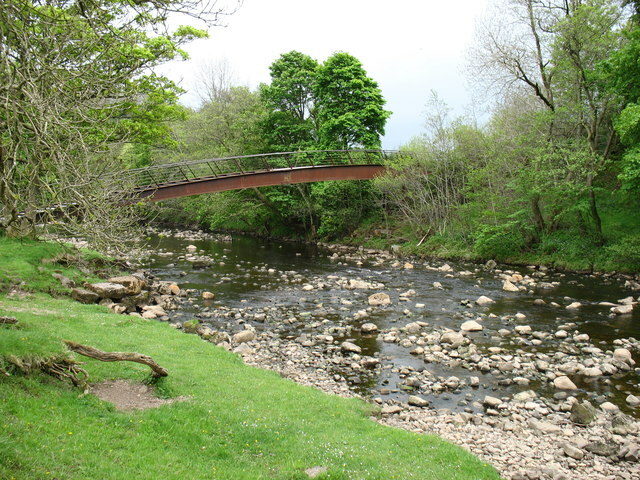 A new Millennium Bridge has since been built in 2001 which reconnected the route, which takes walkers from Cumbria to Northumberland. Housesteads houses is the most dramatic site you will get to explore during your walk along the Hadrian’s Wall. The Roman fort situated here is the best preserved Roman fort found in Britain. The foundations here include a hospital, army barracks and also flushable old toilets. You will also get to see some of the most incredible vistas of the wall and the Northumberland National Park from the ridge. Here you will get to explore a beautiful museum where you will get to have a look at the everyday life of a Roman garrison town. A large number of Roman artefacts are on display here, including leather sandals, Roman helmets and writing tablets. You can also explore the excavated parts of the fort and town, and visit the age-old turrets and temples which have been reconstructed. Brocolitia Fort or Carrawburgh Fort is another interesting site which you must explore during your walking tour. The ruins of the Temple of Mithras is also located near the fort, which was built in the third century. 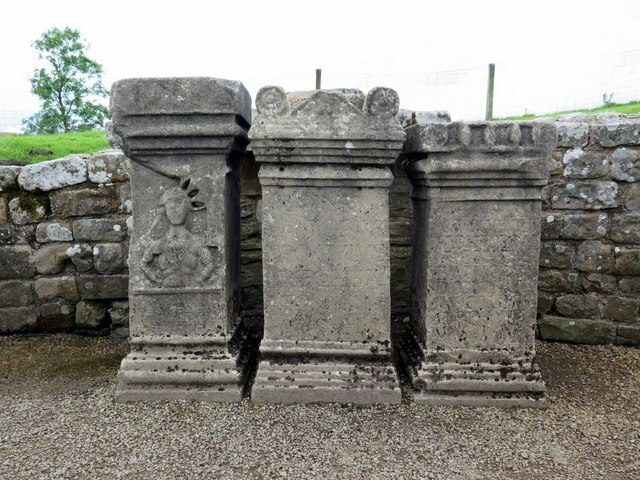 The remains of this temple built in the third century is a really popular destination which you can visit during your walking tour of Hadrian’s Wall. The temple was dedicated to the Roman Sun God named Mithras. You will also find the remains of a sacred well which was dedicated to Celtic water goddess Coventina. With all its historic sites, beautiful landscapes and museums full of ancient artifacts, a walking tour along Hadrian’s Wall is beautifully serene and educating at the same time. In fact, it is actually one of the most important historic destinations which you can visit in Britain. So if you want to get a taste of the ancient Roman Britain and discover fresh details of that historic era, then consider going for a walking tour along this historic place. You can be sure to have a memorable experience which you can cherish for a lifetime.